Home / Band Management / Music Promotion / Ask a Publicist: What Are the Top 5 Things Your Bands Have No Idea You Do? This article originally appeared on Sonicbids.com. It has been re-posted here with permission. 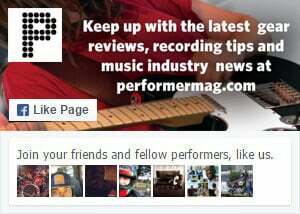 As publicists, we do a lot for bands besides pitching and securing interviews, reviews, and media coverage. That’s the baseline, and it’s anything but basic. That said, the publicist does many things that a band may not even realize. Here are five of them. Generating press clips is part of the job, but it’s not the totality of what we do. We also foster, curate, edit, and protect an overall image. That can include declining press coverage from certain outlets. I know what you’re thinking: “Wait… what? Why would a PR person say ‘no’ to press?” Well, understand this: Publicity is not about quantity but quality, and that can include maintaining an air of mystery or of “ungettability” with certain artists. It’s also similar to that, “If a tree falls in the forest and no one is there to hear it, does it make a sound?” argument. Does it matter if you do a bunch of press that no one will see? Or perhaps a band should do a certain level of press that targets a specific set of people. There are many well-measured reasons that go into declining press, approving press, and fostering the image. It’s never capricious, but it’s also part of a grand master plan. The “no” is just as critical as the “yes” in press and media situations. Most of my friends work 9:00 a.m. to 5:00 p.m., maybe even 9:00 a.m. to 6:00 p.m. or 7:00 p.m. I haven’t worked those hours since I was in college. The music business is a lifestyle, and the publicist is often on call 24/7. Here’s a recent example. I spent my Thanksgiving morning this year doing my usual weekend volunteer work, which is walking shelter dogs. However, while walking the pups, I was dealing with frantic phone calls, texts, and emails among a label, management, and a publication as I worked to get a leaked piece of news pulled down so as not to blow a further exclusive that was planned for the following week. I spent three hours fixing this problem in order to protect something that was carefully planned and would be impossible to execute if the leak spread. On a pretty much nightly basis, I chase down tour managers for MIA photo passes (including on Sunday nights when I’m trying to watch football). I’ve gotten phone calls about ticket issues or interview problems while I was at a wedding. None of my friends who are also professionals work these kinds of hours. It can be frustrating when work barges in on your personal life, which, by the way, a publicist is allowed to have. But I just tell myself, “Ah, it’ll take five minutes to fix,” and it usually does. Publicists are the front line of defense for bands, and we also get in the trenches. That means that we may have to “fix” it when you do something wrong or unsavory. We have to be insanely inventive when it comes to getting the media’s attention, and come up with super creative ways to get your music and your story top of mind on a music journalist’s radar. We also have to get in the trenches and do some digging to find supporters. It’s not easy. It’s not always the ones you want or even know about. But we will research and unearth the right outlets for you. I have new and developing bands ask me all the time, “Hey, can you talk to [magazine name] about us?” We’re always working on it or already thinking about it for down the road. The outlets are on our timeline and target list – it’s just that some will be pitched sooner than others. Some will cover a band sooner than others. Just know that we do this all day, every day, so we’ve got it covered. If not, well, we aren’t doing our job properly. My good friend and PR mentor Jamie Roberts pointed to something critical that most bands don’t realize: We improve a band’s story by teaching them how to tell it. Some bands aren’t aware of how special they are, or they can’t find the way to show it. It’s our job to edit and deliver the message and the story in the right way. We have to think outside the box and make an already compelling story compelling to the media.